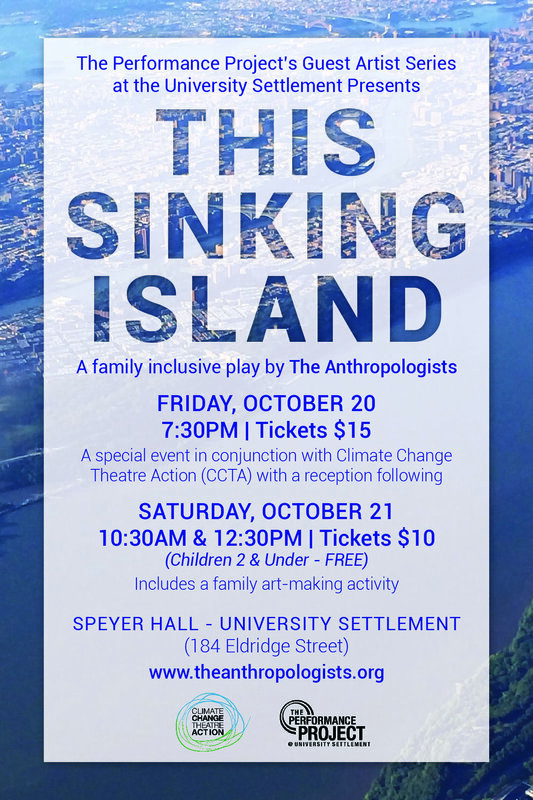 On October 20th and 21st, The Anthropologists will be performing Phase 3 of THIS SINKING ISLAND at University Settlement (on the corner of Rivington and Eldridge Streets). We are performing as a part of CCTA (Climate Change Theatre Action). This particular devised theatre piece encompasses refugee narratives, original music, and a call to action. It is a 30-minute family-friendly play that celebrates the courage of climate refugees. I'm very fortunate to be working with such a talented group of artists who are committed to research, art, and social action. Getting to use both parts of your brain on a project. is intoxicating. I hope that you will be able to join us.